Values for mint state (MS) coins are samples of what that date, mint and grade has sold for as graded and certified by PCGS or NGC. The circulated grades sample raw coin sells but none of the values guarantee your coin will sell for this exact value. Note: A common date’s value, under AU, is mostly determined by silver spot and what the market allows. Common date and mint Walking Liberty Half Dollars (Walkers) can often be bought for less than $10 each in the low grades. As grade increases to AU (Almost Uncirculated) or mint state the value can jump to at least $20 and sometimes in the hundreds. 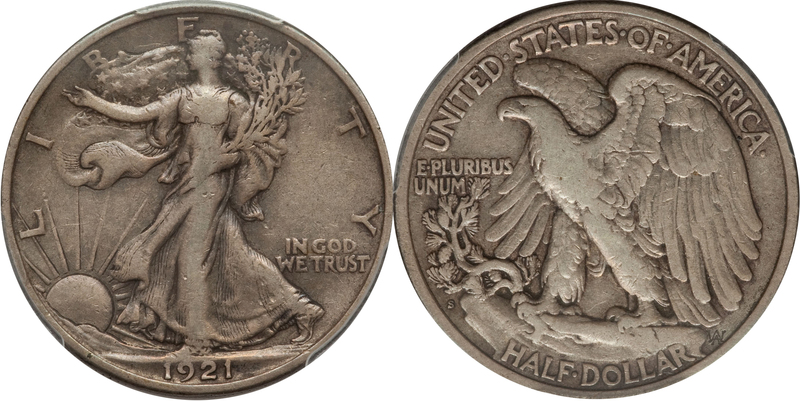 Most Walking Liberty Half Dollar dates jump in value when they’re graded MS63 and above, although certain key dates like the 1938-D, 1921-D, 1921 and 1916-S are all worth a premium in grades lower than AU (About Uncirculated). In VF30 (Very Fine) the dates from 1916 through 1933-S tend to jump a bit in premium since they’re more rare in this grade than VF25 and less. 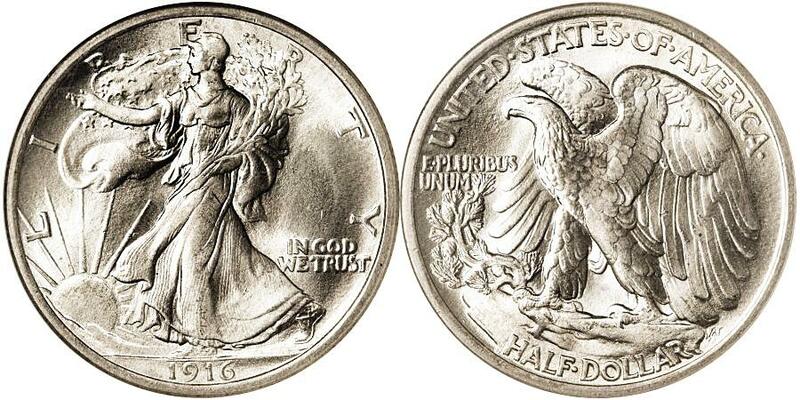 Walking Liberty Half Dollar value is based on mintage, survival rate, grade condition and variety status if each date and mint. Standing Liberty Quarter Value 1916-1930 - CoinHELP!